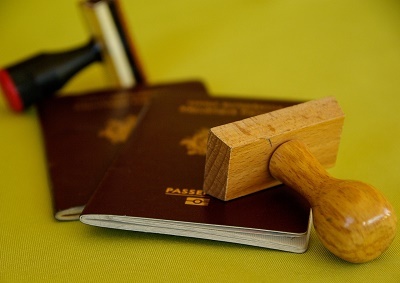 You will need to obtain an employment visa or work permit before you can start work. To apply for one, you will need to have a sponsor – this is usually your employer. The company’s Human Resource department should be able to assist and advise you on your application. If you don’t have a sponsor, you can apply for a visa under the General Skilled Migration program. This program is for people who have skills in particular occupations required in Australia. You must be between 18 and 45 years old and possess good English language ability. These are things you need to know if you wish to work in Australia. There are a number of visas that expats can apply for when it comes to immigrating to Australia, and the working visa availability includes sponsored training visas, the work and holiday visa along with professional visas that require sponsorship. A large portion of the Visas offered by the Australian government are allotted to the Family Migration Program wherein migrants are selected based on their family relationship with their Australian relative. The program is divided into several visa subclasses which include visas for spouse, fiancé, parent, dependents and others. The Skilled Visa is exclusive for those specialising in a skilled labour of any sort, falling into categories identified by the Australian Government as skills found lacking amongst locals. If you are a tradesperson, skilled professional, or a student graduating from an Australian university, for instance, you can qualify for unrestricted Australian working rights for you and your dependents, thereby allowing you to secure employment without the requirement of sponsorship. However, to qualify for skilled migration, you (or your partner) must be able to satisfy the basic visa requirements like the requirement to meet specific age requirements, English language ability, minimum qualifications level, selection of a nominated occupation, recent work experience, etc. In addition to this, you are also required to satisfy a current points test. These points can be claimed for several items including skill, age, English language ability, specific work experience, skills your spouse possesses and so on. Skilled work requirements are broadly classified into Managers and Administrators, Professionals, Associate professionals and Tradespersons, and related workers. The approximate processing time for Skilled Migration applications usually ranges from 6 – 12 months. Check Australia’s official immigration website for updates on Visa fees and other charges. The Overseas Student Program or OSP encourages non-Australian citizens or permanent residents to study in Australia. There also is a The Working Holiday Program which provides a once in a lifetime opportunity for people between 18 and 30 from certain countries to holiday in Australia and to supplement their travel funds through incidental employment. The Working Holiday Visa allows the guest to stay in Australia for up to 12 months from the date of first entry into Australia, regardless of whether or not you spend the entire time in the country. The Skilled Independent Visa gives the applicant the right to live and work in Australia as a permanent resident and without any restrictions. Applicants must each 120 points on the visa assessment. The Skilled Sponsored Visa, on the other hand, can be used by applicants who have occupations that appear on the Skilled Occupation List, but don’t have the required 120 points, although 100 points are required as well as sponsorship from either a family member living in Australia or nomination from a participating Australian State or Territory. The Skilled Regional Sponsored Visa similar to the skilled sponsored visa in that the minimum assessment mark is 100 points, and sponsorship is required from either a family member or a participating Australian State or Territory. The main difference, however, is that this visa is a provisional visa and applicants must be prepared to live for two years and work for one year in a Specified Regional Area of Australia. The Business Migration program, which encourages successful businessmen and entrepreneurs to settle permanently in Australia and develop new or existing businesses, and the Investor Retirement Visa, a temporary visa for retirees over 55 years of age with significant assets to support themselves in Australia. You will be required to register yourself for tax return purposes. Check with your company’s Human Resource department to see if they can help you with the paperwork. You will receive a nine-digit tax file number. Make sure you apply for and get this number because you will be taxed at a maximum rate of 47% on your taxable income if you don’t have one! You also need this number to claim unemployment and sickness benefits make an investment or enrol in a free course of higher learning. To apply for a tax file number, go to your local Australian Tax Office. You need to bring along your passport that contains a valid visa, birth certificate, and driving license. The application takes about two weeks to process.